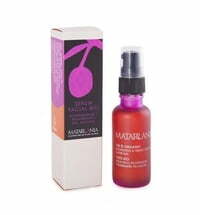 The Spanish organic cosmetic brand MATARRANIA develops sustainable and luxurious cosmetics based on cold-pressed, organic olive oil. The company is based in Teruel, Aragón. Only selected organically certified ingredients are used that carry the Soil Association seal of approval. 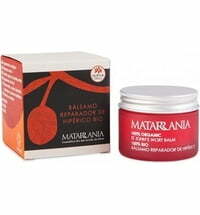 MATARRANIA uses traditional formulas to create a line of cosmetics that is gentle yet effective. 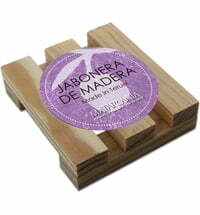 The products do not contain water resulting in luxurious textures infused with natural, Mediterranean fragrances. MATARRANIA is more than just a cosmetic brand, but rather, viewed as a sustainable and harmonious business that lives for its philosophy: environmental protection, supporting local organisations and enhancing natural care that is free from additives or chemical components. Beauty is our heritage and is conveyed through health, happiness and personal appreciation. Cosmetic products should be tolerated by the skin and made with plant-based and organic substances. Local raw materials are favoured. Supporting social economy, local agricultural and traditional livestock farming and the values that are firmly rooted there. The development of simple, honest and effective cosmetics. 100% of the raw materials stem from organic farming and are certified accordingly. 0.7% of the brand's annual profit is donated to local projects relating to sustainable development. The key ingredient used is high-quality, organic olive oil - this is due to the proximity to olive oil production. Other plant oils such as almond oil. sunflower oil and hazelnut oils are also incorporated into the formulas. The oils used are of high quality and cold pressed. Furthermore, the cosmetic products are enriched with plant extracts: a large and diverse selection of scented and medicinal plants are found in the region alongside a deeply rooted knowledge of how these are best used. Olive oil is an effective antioxidant that is rich in vitamin E and polyphenols. 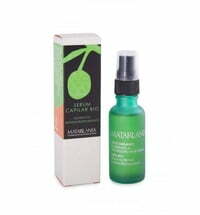 It strengthens the epidermis and promotes skin elasticity thanks to the contained essential fatty acids found in olive oil. Olive oil has non-comedogenic qualities, does not cause any greasiness or clogs the pores. The packaging used is made up of 30% recycled glass. The use of plastic is kept to a minimum - only parts of the pipettes for oils and dispensers for serums are made from plastic. The outer packaging is made of recycled carton.